Mr. Campbell is the founding member of Campbell Law Firm PLLC, a litigation boutique. He specializes in complex litigation involving creditor’s rights, securities, commercial torts, product liability, and bankruptcy issues. Mr. Campbell grew up in South Florida. He graduated from Chaminade-Madonna College Preparatory School with high honors in 1972 and went on to attend both college and law school at the University of Florida. He received his Bachelor of Science degree in Banking and Finance with high honors in 1975, and his Juris Doctor degree with honors in 1978. 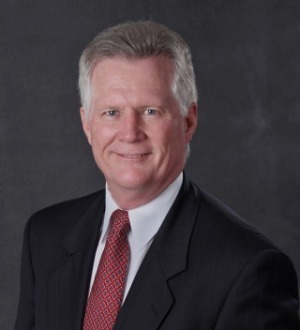 Upon graduating from the University of Florida College of Law in 1978, Mr. Campbell joined Southern Bell Telephone & Telegraph Co. as Staff Attorney in the Miami and Fort Lauderdale offices. He joined Mershon, Sawyer, Johnston, Dunwody & Cole in 1980, where he became an Equity Partner in the Litigation Department. In 1995, he joined the Litigation Department of Thomson Muraro Razook & Hart, P.A. as a Shareholder. He joined Clarke Silverglate & Campbell, P.A. as a Shareholder in 2001. He formed Campbell Law Firm PLLC in 2011 along with five other attorneys. His firm is now recognized as one of the "Best Law Firms" by U.S. News and World Report in multiple specialties. Mr. Campbell has substantial experience in representing financial institutions, developers and manufacturers in litigation in state, federal, and bankruptcy courts throughout Florida. He is Board Certified in Business Litigation and Creditor’s Rights, AV rated by Martindale-Hubbell and is recognized among “The Best Lawyers in America” in five different litigation specialties. Mr. Campbell also is ranked among “Florida’s Legal Elite” by Florida Trend Magazine and consistently has been voted by his peers as among “Top Lawyers in South Florida” in the South Florida Legal Guide, as one of “Florida Super Lawyers,” as a “Leading Florida Attorney” in litigation and bankruptcy matters by Leading Attorney Network, Inc. and among the “Best of the Bar” by South Florida Business Journal in Business Litigation.